Lots of at the moment as I'm writing for Kaleidoscope, Cura, Blau, Financial Times, Frieze, Twin, Good Trouble, Coeval this month (much to be released around Frieze in October)! - The latest film I did for BMW has been released, where I took Andrea Denver around the Buckthorn Sculpture Park in upstate New York. 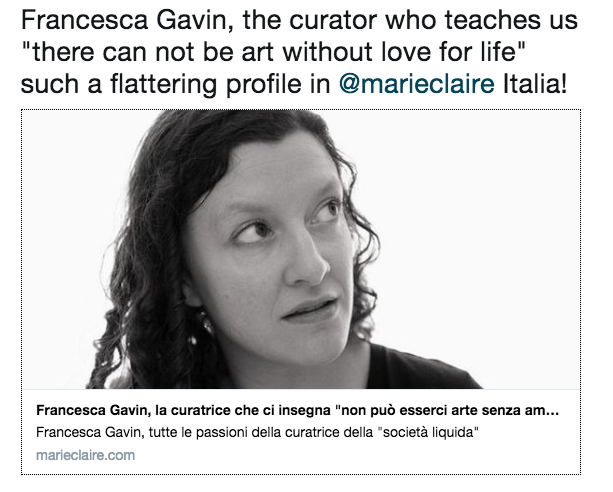 - Had a nice profile Marie Claire Italy about my curation work.